NEWS: Virgin Velocity mile earning on Etihad has been halved. If you go to velocityrewards.com.au you'll see a new earning table. Economy earns (E, U, V, L, Q, M, K) 0.5 Velocity Points (H, B, Y are still 1 Velocity Point). Business Clas (W, D) earns 1.3 Velocity Points, and First Class a mere (R) 1.8 Velocity Points. However Velocity members will now earn status credits at the full rate on Virgin Atlantic flights. 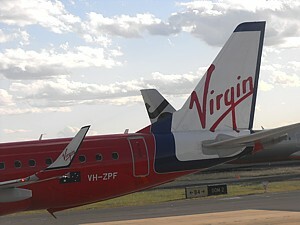 Virgin Australia's Frequent Flyer scheme is called Velocity, and it is currently no part of any other airline alliance. The Virgin Australia Velocity programme is similar to most other Frequent Flyer schemes, whereby you earn points on flights (plus hotels and a credit card) and spend them on flights. There are also Status Credits, with a very similar style to the Qantas Frequent Flyer programme. You only earn status credits on flights, and when you get to a certain tier level, you got up in 'status' which brings benefits such as free luggage and lounge access. Velocity Rewards has 1.8 million members – and if you live in Australia and plan to take several long haul trips a year, Velocity may be the scheme for you. If you do not, it definitely isn't, and there are better schemes around. There are however several plus points to Velocity. For a start points never expire – however you do need to at least earn some points every three years to keep them alive. Naturally you can earn points on all the airlines in the Virgin Network, plus you can also earn points on two big airlines in the Asia Pacific region: Singapore Airlines and Air New Zealand, plus Delta in the US, and the biggies in Asia, Malaysia Airlines and Etihad. This in itself is often said to be one of the main reasons for joining Velocity. 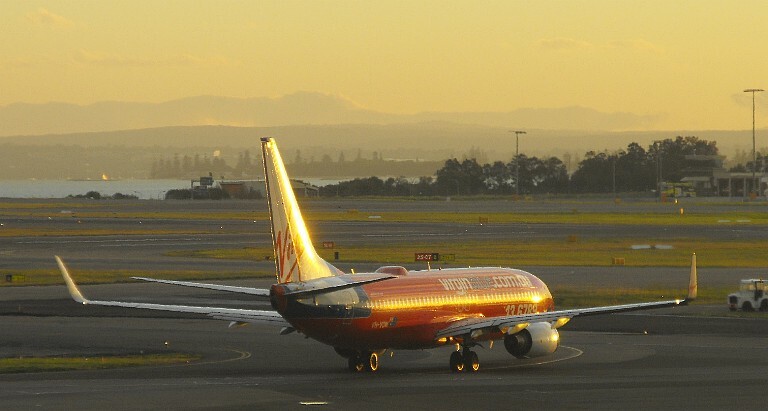 The downside is that the airline – and Velocity – isn't part of any of the oneworld or skyteam alliances: Virgin is often talked about joining, however with Delta in Skyteam, SQ and NZ in Star, and Malaysian in oneworld, you can get some benefits, if you book flights on other airlines in the alliance under their codeshares. Joining is easy; it's possible to do it online, although the joining process is convoluted with three pages of forms to fill in, and various bits that are mandatory that are not made clear. You get a membership number as soon as you sign up, however you don't get a 'real' card until you've flown on Virgin Australia at least once. Earning Velocity Points on Virgin Australia Domestic Flights is easy - Velocity members earn 5 Points per $1 spent, plus a small bonus for Silver (50%), Gold (75%) and Platinum (100%) members. Velocity isn't very generous if you travel only on the cheapest of economy tickets on Virgin Australia (G, T, Q, V, N, E, U, M, S). You only earn half a point per mile. You need a flexi ticket ( Y, B, L, K, H) to earn 1 point. Business Class isn't very generous either: the Business Saver (D, I) earns 1.5 points, while it is only the most expensive business (J,C) that earns 2 points per mile. A really quite wacky Virgin Australia perk is that Velocity will offer Velocity status credits on reward flights: quite nice. You spend some miles, but sort of get them back too. On other airlines, Beware of the earning chart. Virgin Australia Velocity earnings on Etihad have been cut recently - quite dramatically. Pretty much every economy fare used to earn 1 per mile... now it's 0.5 per mile. However on Virgin Atlantic it has gone the other way: you now get full status credits. On Virgin Atlantic from Sydney to Hong Kong earns 120SC in Upper Class, or 30 in discount economy. Heathrow is now 200SCs in Upper Class and 50 in discount economy. It therefore makes sense to make a stopover in Hong Kong – and you earn at the Sydney-Hong Kong then Hong Kong-London SC rate rather than just one at the Sydney-London rate. Booking a stopover on the Virgin Atlantic website is a right pain as you have to hunt for fare classes that match on the two legs, but if you achieve this you can earn an extra 80SCs in Business Class. Another real curiosity of both of Virgin Australia's mainline routes is that both of them are exactly the same distance from Sydney – Abu Dhabi and Los Angeles are both 7502 miles from Sydney, and hence are just below the 8001+ miles cutoff to earn the maximum Status Credits. Status Credits determine the level of membership in Velocity. There is a complicated earning chart (see right) which applies to almost all airlines: the golden rule here is that while price may determine your points on Virgin, the distance determines the status credits. This is the absolute basic level of Velocity. You won't get chucked out of this level, unless you don't fly (or put any miles on the card) for three years. You can use the card for self-service check in, but that's about it. There are no perks, although you can spend miles (if you can find any seats). Offering a few - a very few - perks is Velocity Silver level. To get to this stage takes 250 Status Credits, and 2 flights on Virgin Australia. To renew you only need 200SCs and 2 flights. You earn an extra 50% bonus points on most flights, and you can select your seat at time of booking. There are two single entry passes to the domestic Virgin Australia lounges (valid for 6 months), plus slightly discounted annual membership. You also gain an extra 10kg of luggage allowance on international flights, while on domestic you can pretty much add an extra bag of 32kg – which means on a Saver Lite fare going from no free back to one free bag. Now that is worth it. Now you're finally getting somewhere - Velocity Gold Level gives access to the lounges for free! 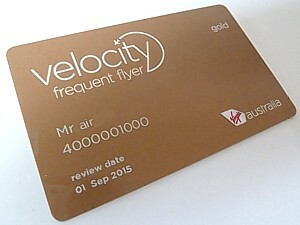 To get to Velocity Gold takes 500 Status Credits, and 4 flights on Virgin Australia. To renew you only need 400SCs and 4 flights. You earn an extra 75% bonus points on most flights, but no extra luggage over Silver. There is also that great perk of the lounges with complimentary access, plus an additional guest, with the direct kerbside lounge access in Sydney. However, there aren't lounges everywhere, and to some international destinations lounges are equally restricted. For Virgin Australia International flights from Brisbane, Sydney & Melbourne you and a guest can access the Air New Zealand Koru Lounge. The most useful benefit is also access to lounges on other airlines. Alas, this is where it gets really complicated. Singapore Airlines offers access to the lounges to Velocity gold, with a guest, but only to the SilverKris lounges, not the Star Alliance lounges. At Changi you're stuck in the really quite bad KrisFlyer Gold lounges, like Singapore Airlines other Gold members. There is also an additional 15kg baggage allowance. Air New Zealand has the same access to the Koru Club lounges for a Velocity gold, with a guest, but where there is a Koru Club domestic and International. There is also an additional 23kg baggage allowance, but only when flying non-Tasman. Etihad offers access to the Etihad Pearl Business Class Lounges outside Abu Dhabi. But at the Abu Dhabi hub you're stuck in the quite frankly dreadful Al Reem Lounge, which you can buy access to for a few dollars anyway. There is also an additional 15kg baggage allowance. Delta offers access to all the Delta Sky Club. Alas, not one single member of Delta's staff has ever known about this and you will be consistently turned away from the clubs, occasionally with the reason that you aren't on a Delta international flight: this is not true. There is no extra bag allowance. Virgin Atlantic gives access to the fabulous Virgin Atlantic Clubhouse, and Virgin America offers the sole Virgin America Lounge. Alas on Virgin America at SFO, IAD and JFK, you still have to buy access to the Virgin Atlantic Clubhouse if you are flying domestically. Oddly, there is no additional baggage allowance on Virgin Atlantic, or Virgin America. The absolute top level is Platinum status, although it gives few perks over and above Gold. 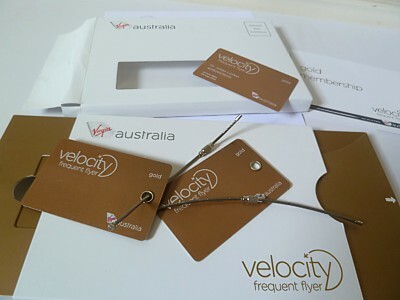 To get to Velocity Gold takes 1000 Status Credits, and 8 flights on Virgin Australia. To renew you only need 800SCs and 8 flights. You earn an extra 100% bonus points on most flights, and one extra bag over gold, giving two 23kg bags on a Saver Lite fare, or 3 on all other fares. The best perk is that Platinum members are entitled to four Complimentary Fare Upgrades per year from a Flexi fare (fare classes Y, B, H, K, L) to Business Class on Virgin Australia. Over and above Gold you can now take 3 guests into the Virgin Australia lounge, plus on Etihad Platinum members can get into the Pearl lounge at Abu Dhabi, rather than the Al Reem lounge. Velocity Platinum & Gold have pretty much the same benefits as Air New Zealand's Airpoints Gold Elite and Gold members. Lounge Access: You get access to the Koru Clubs as a Velocity Platinum or Gold. But there are some places – like Adelaide – where there is no lounge. Luggage: Platinum members gain an extra 69kg of luggage and Gold a 32kg bag even Air New Zealand's "no bags" Seat fares. 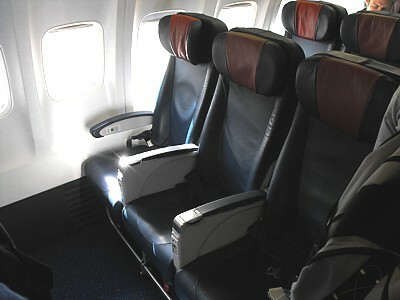 Seats: Automatically get choose extra-legroom seats when booking. However you have to book directly through the airline doing the flying, and this can be quite hard to achieve in reality: airlines look at you blankly when you ask for this. Upgrades: You should have a chance of free upgrades to Air New Zealand's long-haul premium economy seats on the rare Boeing 777 trans-Tasman flights. However in reality it is very hard to get Air New Zealand to acknowledge this is a recognised perk. Virgin Australia Velocity Silvers get much fewer perks, with just an extra 23kg baggage allowance when booking.